In most British homes, the bathroom is amongst the smallest and dimmest places in the house. Clever use of lighting and reflection, however, can enhance the sense of space exponentially. For this reason we recommend considering an illuminated mirror for the bathroom from HIB, which as well as being a functional necessity, will also help brighten up those corners of the bathroom that need it most. An illuminated mirror for the bathroom can also create dazzling, glamorous effects when used in low-lighting conditions – perfect for bringing a piece of Hollywood into your home. But it’s as an everyday accessory that an illuminated mirror for the bathroom shines most brightly. You won’t believe how much easier hygiene and beauty routine will seem with the help of an illuminated mirror from HIB. 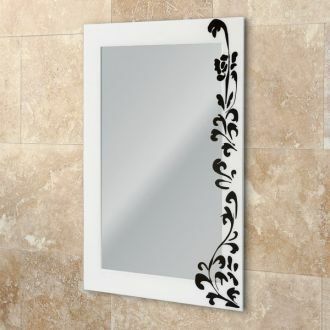 Choose from HIB's range of designer mirrors/illuminated mirrors. The choice of striking, contemporary designs will perfectly compliment any modern bathroom. All of our illuminated mirrors are manufactured from 5mm PVC film-backed safety glass, and most are rated to IP44 water-safety standards.